With a wealth of features - including new dbx® 63V high-voltage, ultra low noise mic preamps, dbx dynamics (comparator, limiter, gate) and EQ, a hardware monitor reverb, and a software suite that includes the new Pantheon™ II VST/AU reverb plug-in – the Lexicon I·ONIX FW810S is more than just an 10-input, 12-output FireWire audio interface. It’s a pro recording studio in a single rack unit. 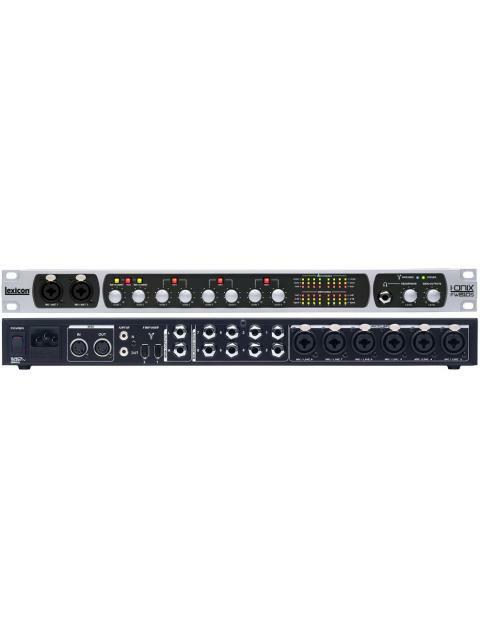 Newly designed dbx mic preamps are included on every channel and run on a 63V supply to guarantee headroom and provide you with a superior recording across a wide dynamic range. The preamps are exceptionally transparent and deliver deeper lows, smoother highs, and an overall fuller sound that will make your recordings sound more amazing than ever. 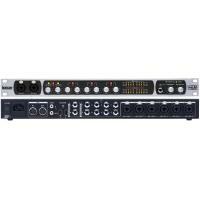 •ONIX FW810S adds a powerful Mixer with integrated dbx dynamics (compresser, gate, limiter) and EQ. The Mixer’s true-to-life user interface feels familiar from the second you start using it, making it easy to adjust levels, route signals through 10 inputs and 12 outputs, and preview reverbs and dynamics. And the I•ONIX FW810S does the processing, so you can mix and fine tune your recordings in real time with zero latency. With so many powerful recording tools, the I·ONIX FW810S is the ultimate hardware and software interface that transforms your computer into a professional 24-bit/96 kHz recording studio.